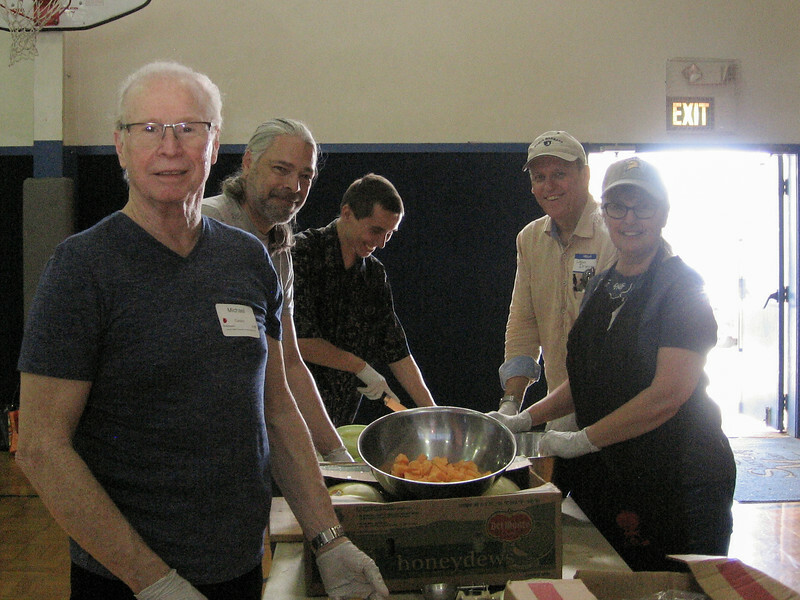 GILROY, California — On Sunday, April 22, 2018, more than thirty Christians and Muslims united to serve 150 meals to the homeless and hungry of Gilroy at St. Joseph’s Family Center. Br. Mohammed Idris Hussain of South Valley Islamic Community led volunteer orientation with Pastor Larry Albright of Lincoln Glen Church. Volunteers broke into small buddy groups for some fun discussions before preparing a halal meal together. Br. Mohammed Idris Hussain once again barbecued his world-famous chicken to the delight of all guests and volunteers, assisted by Mohammed Zayd Hussain and Kelly Friesen. Pastor Albright offered a prayer of thanksgiving before guests dined. Volunteers waited on tables, serving guests restaurant-style while Br. Tim Moon performed live music. Afterwards, volunteers also dined. Finally, Br. Salah Hamed offered a closing prayer, thanking God for the joy of serving our neighbors in need together. Many thanks to South Valley Islamic Community and Lincoln Glen Church for sponsoring, and to Br. Mohammed Idris Hussain and Rev. Larry Albright for organizing and leading. Most of all, الحَمْد لله‎ and thanks be to God for blessing us all with the strength and means to serve our neighbors in need.